I have always had many interests and talents and I just wouldn't be myself if I didn't explore and pursue these many passions. It is the blend of all of these that makes up my true essence and allows my spirit to grow. I created this space so that I may begin to share the many wonderful gifts and additional pursuits I am working on with all of you. In addition to Feng Shui I work as a freelance copywriter in a wide span of industries which I thoroughly enjoy. Whether it's website copy, internal marketing materials, brochures or press releases, if you need assistance with any marketing or creative writing projects feel free to contact me. Samples and rates available upon request. "What does your home say about you?" 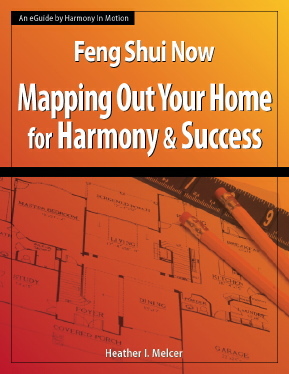 "Feng Shui 101 & 102,"
Visit EmpowerYourHomeNow.com to read more information about this .pdf guide I wrote and to buy/download.